This gorgeous set of cards will make your friends and family smile! 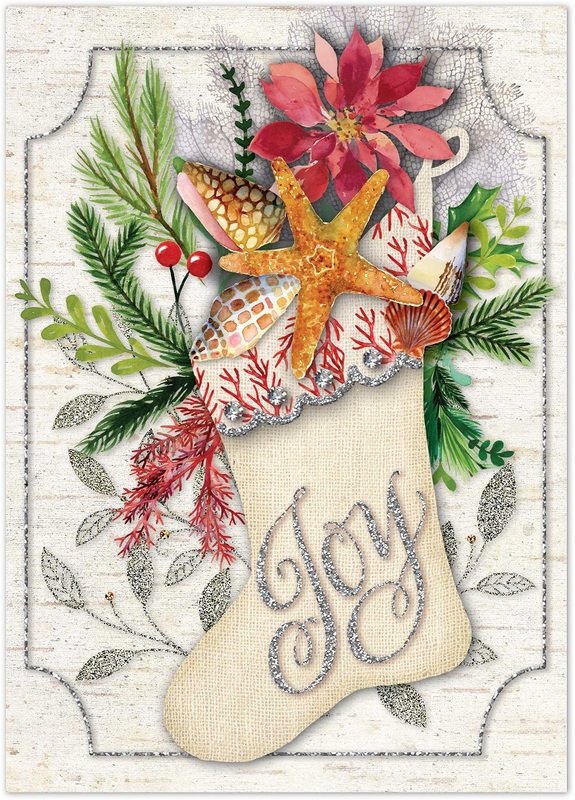 They have a subtle nautical theme, featuring a stocking stuffed with seashells and a starfish atop a backdrop of holly and pine. "Joy" is written across the stocking, and gems & silver glitter adds a shimmer! Inside, the card says "Merry Christmas".